This is another capture taken during my trip to Greece. 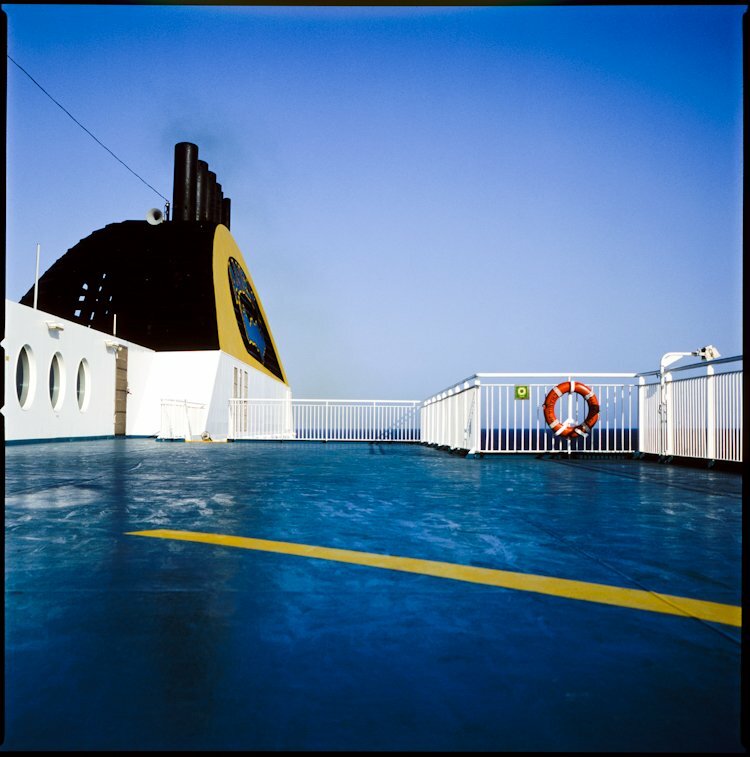 The weather on the boat was great and the Velvia 100F Film have always a magic touch in these conditions. Una pellicola veramente strepitosa, sia per la nitidezza che per i suoi colori!!! I usually take most of the blue out of my shots. But I really like this. I love being on the ferry.